Brakes work by squeezing a spinning metal disc with a pair of abrasive high-friction pads. The friction between the pads and rotor take energy away from the wheel 's rotation, and the car comes to a stop. That heat also breaks down the abrasive brake pads, spitting out burnt pad material carbon, and flakes of raw steel from the bare rotors. Diablo Wheel Gel is the perfect solution for lifting, separating, and lubricating abrasive brake dust particles that ruin the shine of wheels and undercarriage parts. Rinse off any loose filth and brake dust, then spray on a generous helping of Diablo Gel all over the face and barrel of the wheel and tire. 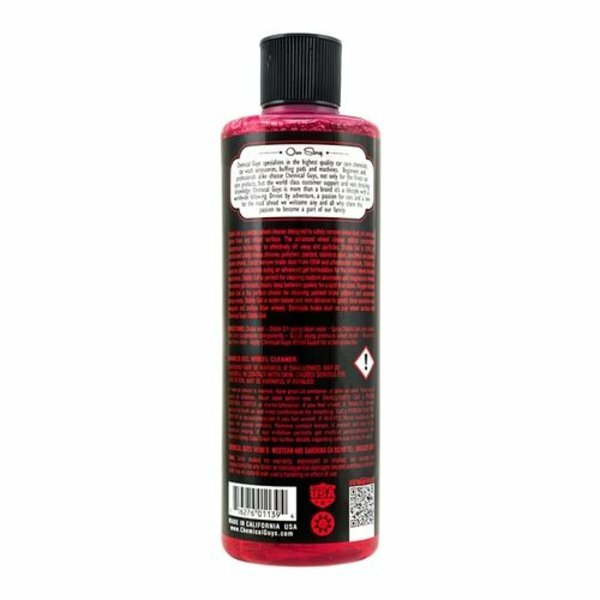 Scrub with any one of the specialty wheel and tire cleaning brushes stocked by the Chemical Guys store, then rinse away all the loosened filth and debris floating in the foamy cleaner residue. Oxygen-infused cleaners and slick lubricants guide filth off the wheel and into a foaming lather that will not scratch sensitive surfaces when scrubbing with a brush. Spray Diablo Gel through a foaming Ducky sprayer to stick thick cleaning lather on intense stuck-on wheel grime and hard-to-reach areas. 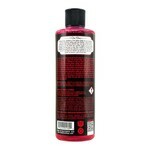 Clean wheels at every car wash for immaculate shine and clarity with Diablo Wheel & Rim Cleaner. 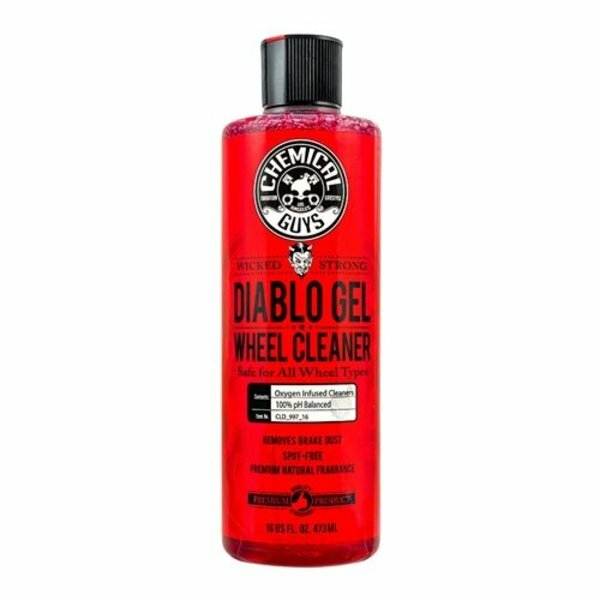 Diablo Gel Wheel & Rim Cleaner is available in 4 ounce, 64 ounce - 1/2 Gallon, and 1 gallon sizes.